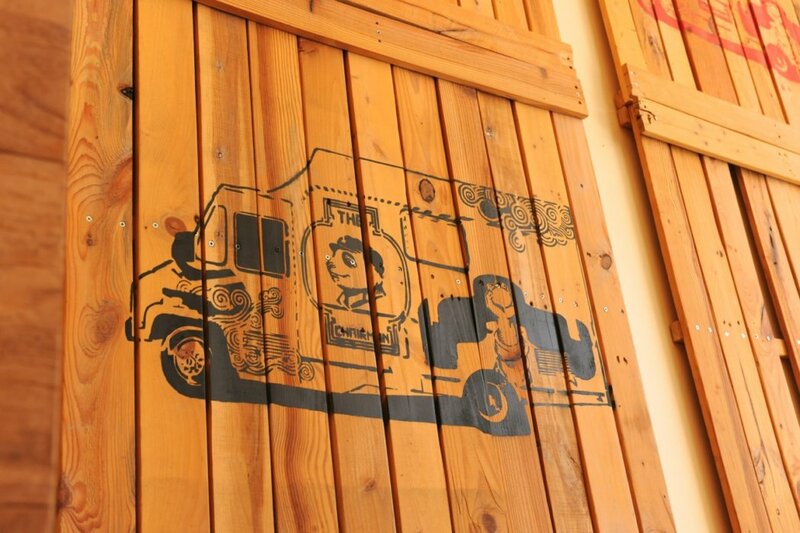 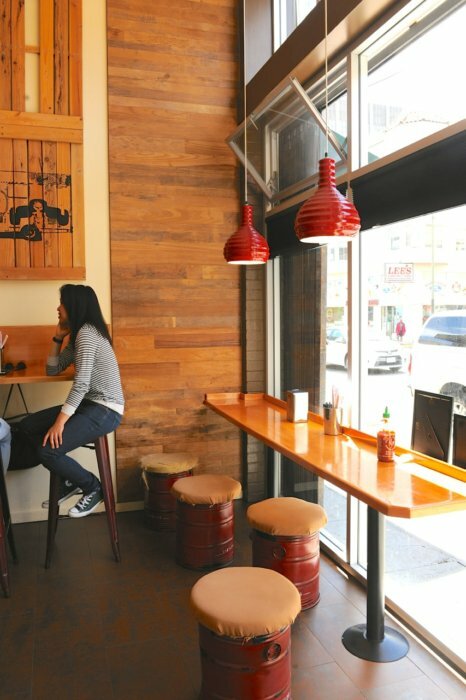 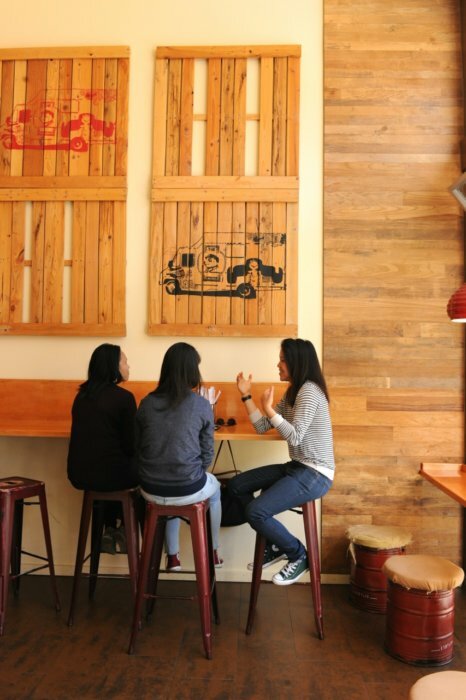 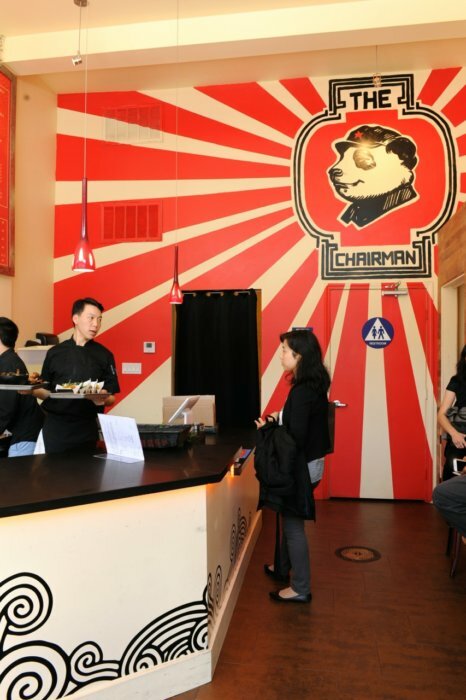 In the transitioning Tenderloin neighborhood of San Francisco, owner Curtis Lam wanted to turn his production kitchen into the first walk-in location of his popular Chairman food truck/ steamed and baked bao food concept. 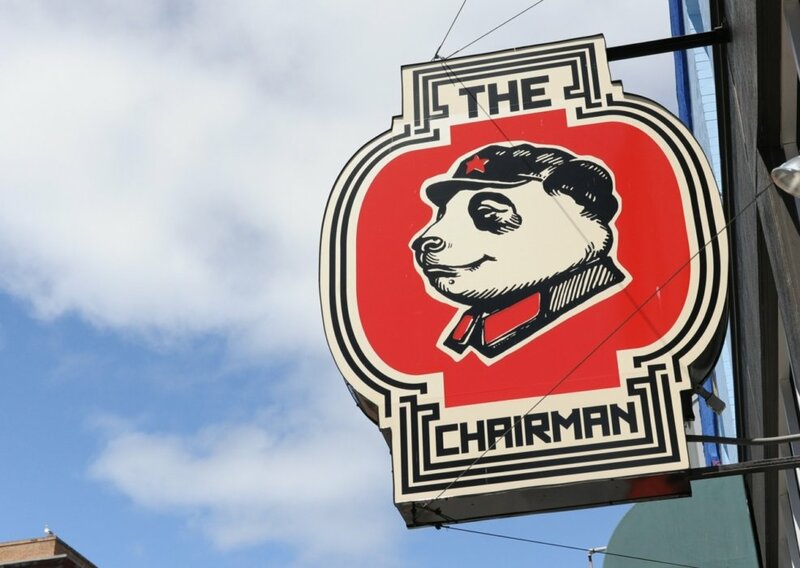 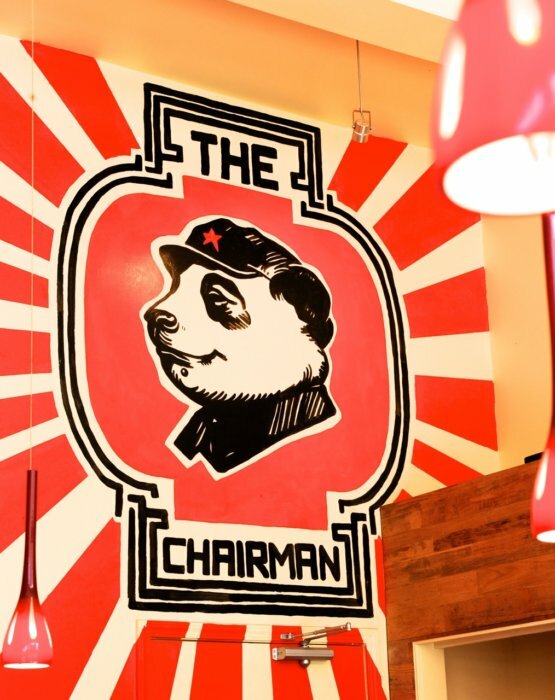 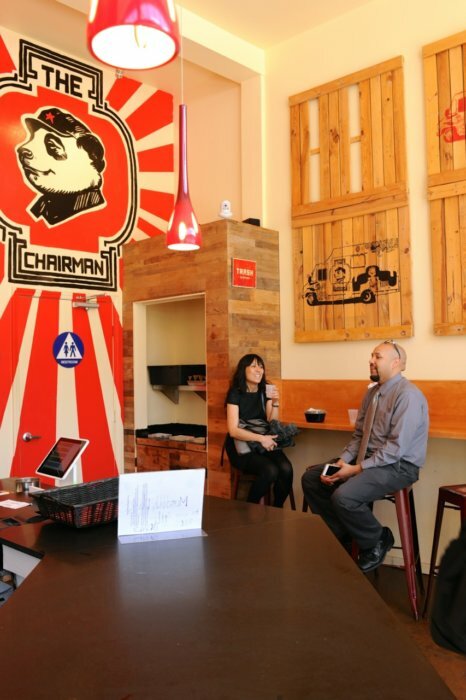 The Chairman’s strong brand graphics by celebrated artist James Jean became our feature wall focus for the small 1100 sf space. 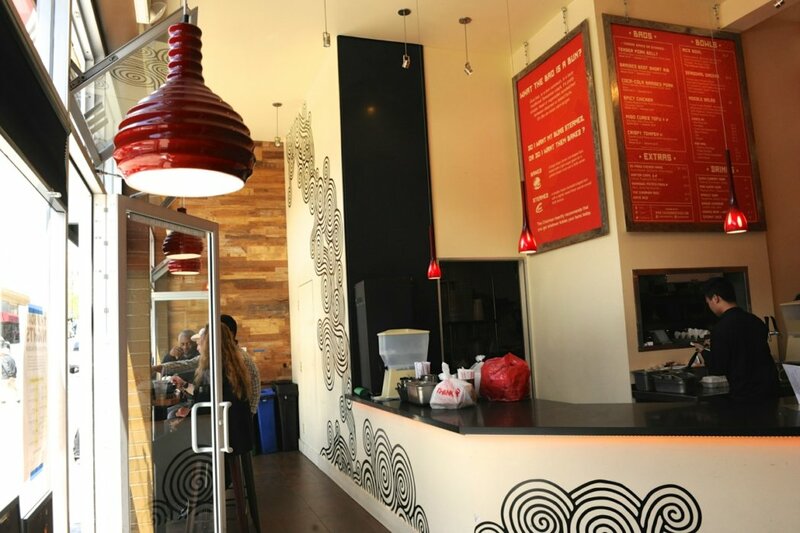 We mixed reclaimed teak panels, found palette art, honed black granite, and red “rice-bowl” pendants to punctuate the brand in three dimensions.